Adding an original opera to the vast array of cultural offerings during the Olympics period, Chosun Opera Company’s opera “Seonbi: The Noble and Wise Man” will be staged at the Gangneung Dano Culture Center on Saturday. The opera performance will be accompanied by the Herald Philharmonic Orchestra, led by conductor Kim Bong-mi. ”Herald Philharmonic Orchestra and I have accompanied the opera many times since its Korean premier in 2015, but the performance at the 2018 PyongChang Winter Olympics will become the most memorable one,“ Kim said during a recent interview with The Korea Herald. Seonbi refers to intellectuals who studied the works of Confucius and Mencius, attempted to live a modest life and follow a righteous path in their lives, during the Joseon period. The opera is a tale of a Confucian literati and the virtues that they pursue. Marked by the characteristics of traditional Korea, the opera hopes to appeal to foreign visitors in Korea, said Choi Seung-u, president of the Chosun Opera Company. ”Some of the classical music tunes for the opera were written to incorporate elements from Korea‘s traditional music, making it sound new to the foreign ear. The traditional costumes are something that foreigners may find attractive,“ said Choi. The upcoming performance has already been staged 20 times at 10 different venues, including the Carnegie Hall in 2016. The opera in 2017 also had a Vietnam premier, as a part of the Ho Chi Minh City-Gyeongju World Culture Expo. 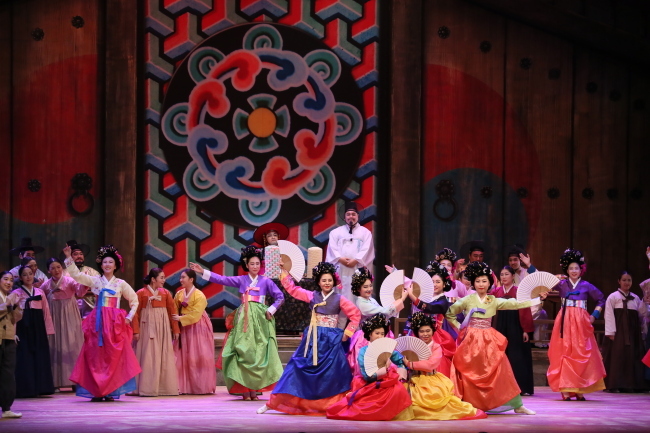 The Korean opera premiered in 2015 at the Korea Opera Festival and has been received favorably, including the grand prix award at the Korea Opera Awards. ”Hallyu, including K-pop has been gathering worldwide recognition. Yet, Korean operas have not been drawing much attention from outside of the country, compared to K-pop. Though it is not a mega-size performance, I hope the opera ‘Seonbi‘ will contribute to the development of Korean operas,“ Kim said. Conductor Kim said that she sees more opportunities in Asia. ”Starting with the performance in Vietnam in 2017, the opera will step up efforts to perform in different countries in Asia,“ she said. Of many cultural events, ranging from arts exhibition to classical music concert, ”Seonbi“ will be the only opera to be staged during the Olympics, the opera company said. The opera will feature renowned singers, including tenor Kang Shin-mo, soprano Kim Kyung-ran and baritone Kim In-hui.